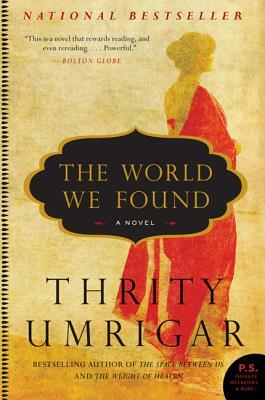 The World We Found is the story of four close friends—Armaiti, Kavita, Laleh, and Nishta—separated by time and the detours of life. Compare and contrast the four friends both as students and as adults. What does their friendship mean to them? What is the significance of Armaiti in each of these women’s lives? Explain the meaning of the novel’s title, em>The World We Found. How is it reflected in the book’s themes and its characters? How have the lives of these women changed? As young university students, all had dreams for the future. How did reality match with those young dreams? Why did things work out—or not—for each of them? What dreams did you have in childhood and youth? How do they compare to the reality of your life today? As students, the quartet fought to change their homeland. Describe their India then and now. Is today’s India the kind of place they demonstrated, marched, and argued for? What happened to their activist spirit? What is activism? Were the women still socially involved and aware at middle age? Can we ever escape the compromises that threaten our values? How do we hold onto our idealism in the face of change, or must it inevitably fade, as youth does? When Kavita and Laleh visit Nishta early in the novel, she confesses to them, “I don’t usually feel sorry for myself. It’s just that seeing both of you is reminding me of the gap between my life as it is and what I’d dreamed it would be.” How do we reconcile ourselves to those gaps? How can we bridge them? How did these characters? The four friends harbor secrets large and small. What are they and how have they affected each of their lives? What happens when those secrets are revealed? Armaiti shocks and angers everyone when she decides not to endure chemo, arguing that she “must live on my own terms.” What do you think of her decision? Her daughter calls her selfish. Is she, or is her daughter selfish for not understanding her wishes? All those years ago Nishta was proud to have a Muslim boyfriend and then husband. Does she still feel that way? What has her love for Iqbal given her? What has it cost her? Talk about Kavita. What holds her back from embracing who she is? Are her fears justified? How does her silence shape her life? What motivates her to break free of her fear? What are your impressions of Laleh? Why is it so important for her to gather her friends and visit Armaiti in America? Has she changed the most—or the least—of the four friends? Do you agree with the women’s plan to intervene in Nishta’s life? By saving Nishta, were they saving a part of themselves as well? Talk about the husbands in the novel. How do these middle-aged men compare to who they were as youths? What kind of husband is Adish to Armaiti? What about Iqbal and Nishta? How did each man become the way he is—what circumstances shaped their lives? Which man is truer to his younger self? How would each man describe the other? Iqbal desperately wants to protect his family. How does that desire transform him and guide his behavior? Why does Iqbal treat Nishta and his sister as he does? Could he be protective without being destructive? What happens at the airport? Does Adish do the right thing? Was his choice a repudiation of his youthful ideals or ultimately, their fulfillment? The World We Found shows both sides of love— how it can become a prison—and how it can set you free. Discuss how this is demonstrated in various characters’ lives. What sacrifices did each of the characters make for love? The World We Found illuminates the painful struggle between Muslims and Hindus. How does religion divide this country? Use examples from the novel in your discussion. Are Iqbal’s actions understandable in light of what he has suffered? Does he deserve better? Think about the student protests of the 1960s and even today. How does this story reflect the changes in our own country and our own lives?